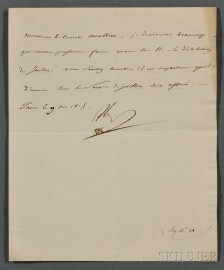 Napoleon I (1769-1821) Letter Signed, 9 June 1815. Single page, wove paper, with the edge of a watermark visible in the top right quadrant. 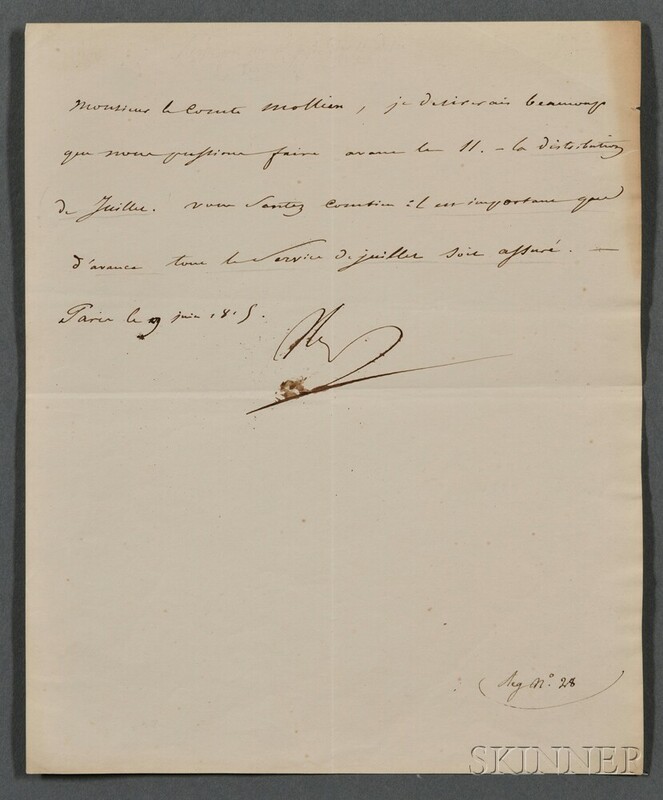 To Count Nicolas François Mollien (1785-1850), who served as Napoleon's finance minister during the Hundred Days, asking him to pay the troops for the month of July before the eleventh. Old folds, top right edge slightly browned, slight edge chip in the same region, 9 x 7 1/4 in. This letter was written nine days before Napoleon's legendary defeat at Waterloo, and would be one of the last communications made to his finance minister on behalf of the French troops.